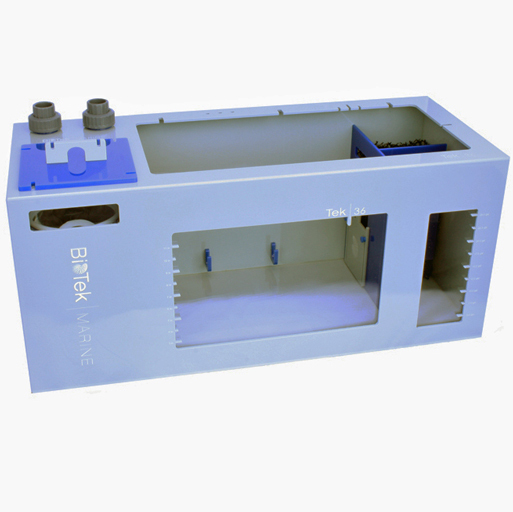 The new Tek and Bio Series Sumps from BioTek Marine are now available. 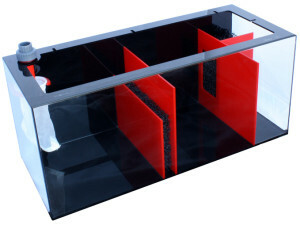 These sumps come equipped with several features which are unique to this series and can’t be found on other brands. 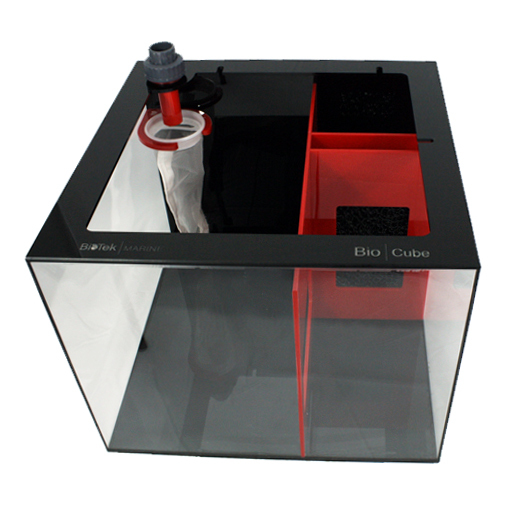 The Bio and Tek Series sumps are available in 3 standard sizes. 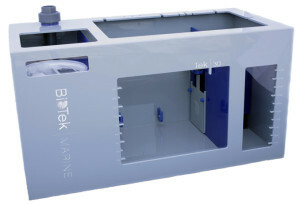 Both series have a unique color scheme which complements the new BioTek Marine Media Reactors and Pellet Driver Reactors. 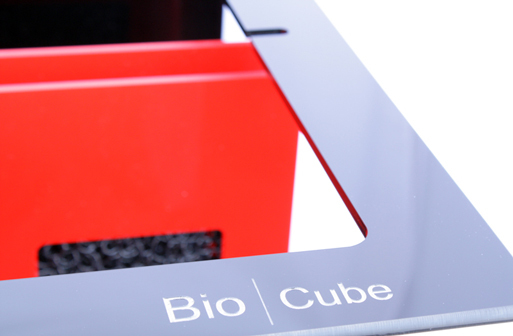 BioTek sumps are expertly designed and crafted in cast acrylic. Each model is packaged for shipping via UPS. 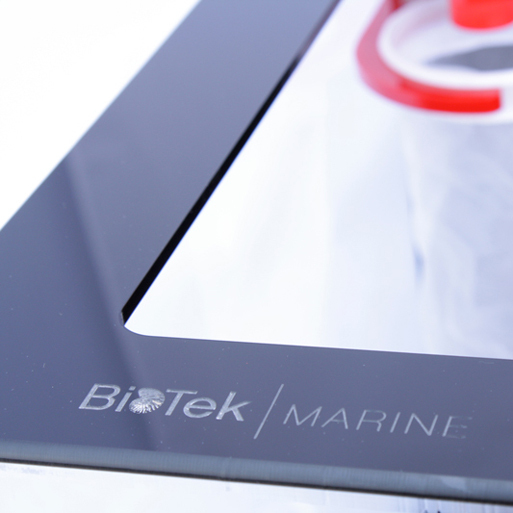 The BioTek Marine manufacturing process uses CNC routers and a large format table laser saw to produce their precise cuts and laser engraving. Each seam is quadruple welded for optimal strength, longevity and durability. The Bio Series is the economy line whose features and build quality surpasses all comparably priced brands. They are made of red, black and clear US-produced cast acrylic. Return water from the aquarium enters the union fitting in the back left corner of the sump and makes it’s way into a 200 micron BioTek Marine nylon filter sock. The design provides ample space for an internal protein skimmer and media reactor. 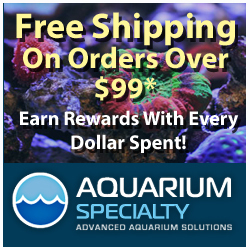 The center section on the 30″ & 36″ Bio Sump can also be used as a refugium if desired. 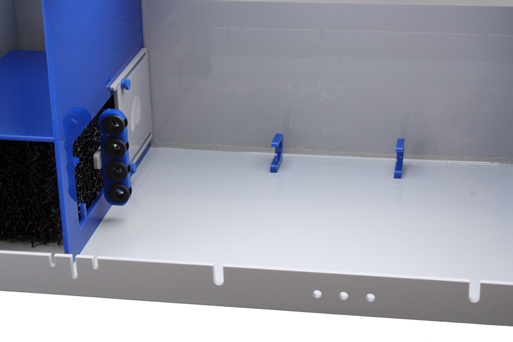 The Tek Series sumps are completely tricked out with all of the features you would expect and then some. All of the Tek sumps are equipped with an enclosed filter sock chamber greatly reduces noise while completely eliminating salt creep. The bracing on top of the sump has been strategically carved with slits and holes which allow you to neatly organize power cords and dosing tube lines. Another nice feature is the adjustable height baffle wall with built in probe holder that holds up to 4 controller probes. When you adjust the height of the baffle wall you are also adjusting the probe holder so that aquarium controller probe tips will always remain submerged at the same water level. Both the Tek and Bio Series Sumps include bio media which adds more surface area for nitrifying bacteria growth and to further reduce micro-bubbles which are sometimes produced by the return pipe and filtration equipment placed in the sump. The media can also be easily removed if needed for cleaning every 1-2 years or as necessary. 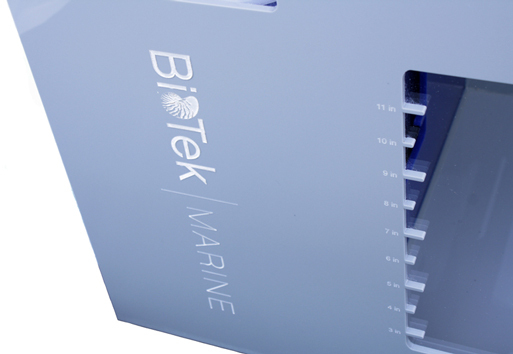 For more information about BioTek Marine products visit here. To locate a dealer near you click here.